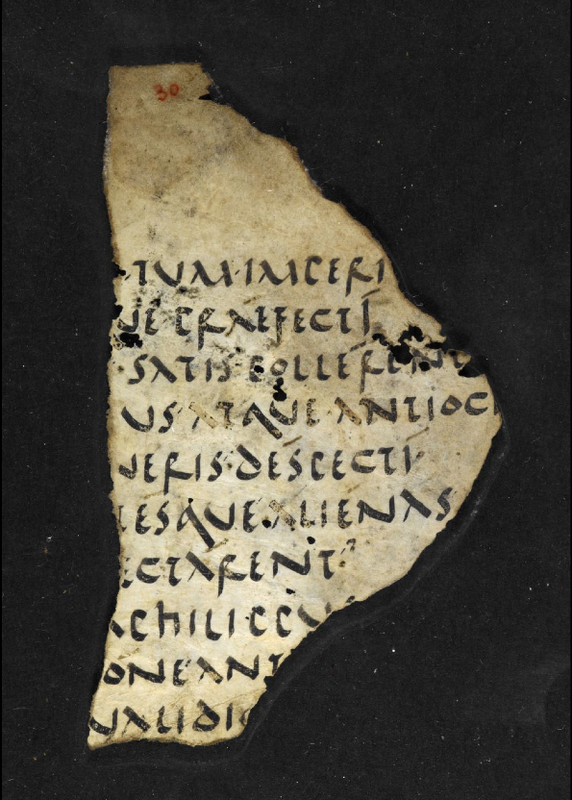 De Bellis Macedonicis is one of those manuscript fragments more important for what it heralds than what it is. As a text it's just a bit of a history on a war between Rome and Macedonia, possibly written by one Lucius Arruntius, found with a vast number of papyrus fragments at Oxyrhynchus in the 19th century. It is, however, currently the oldest known representitive of the most important western manuscript form, the parchment codex. Despite it being referenced and reproduced quite often in Paleography textbooks, the British Library had not, until this past week, publically digitized it. Despite the clarity of the letters, the text isn't all that easy read. The letters are a mix of Rustic (A, M, U), Old Roman Cursive (q and p) and Uncial (D,F,R). The Old Roman Cursive is particularly strange to modern eyes, see the word "Imperi..." at the end of the first line. This page contains a single entry by Aaron Macks published on June 14, 2015 9:21 PM. Gianmaria Buccellati has Died was the previous entry in this blog. Monograms is the next entry in this blog.